You won’t have heard of this guy. Even now I can’t remember the guy’s name. But it really doesn’t matter because his method works. And it’s genius in its simplicity. 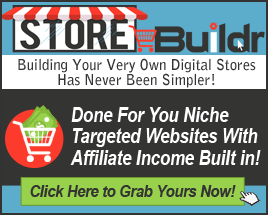 He shows you how to get a review site ranked in the Top 3 on Google (for free). That gets you traffic, clicks and moolah. He’s been making $1k a day and over doing this and it’s real easy.